Sunday Quote!- Our Cultural Concepts of Christianity | J.W. Wartick -"Always Have a Reason"
The point he is making is that humans are tied to their cultural background in such a way that any time we speak to someone from a different context, that becomes a cross-cultural context, no matter how neutral we attempt to be in our understanding. Thus, when applied to missions, it is important to keep in mind one’s own cultural influences and try to avoid imposing those cultural standards onto other cultures. We must not turn Christianity into Christianity + our own cultural understanding and practice of Christianity. Much of the book focuses on how Western culture has been imposed upon Native culture in Christianity as well as how we might break that cycle. 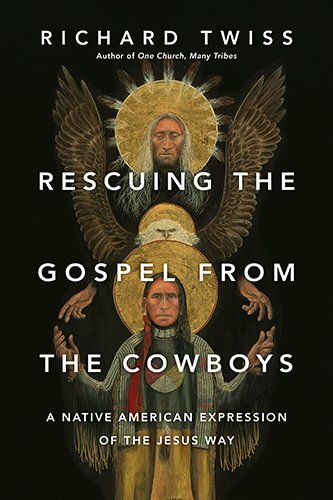 Rescuing the Gospel from the Cowboys is an excellent read that will challenge most readers’ expectations and presuppositions. I highly recommend it. Richard Twiss, Rescuing the Gospel from the Cowboys (Downers Grove, IL: InterVarsity, 2015).